What can we do so our loved ones with dementia can continue living healthy and fulfilling lives? On Thursday, November 1, Revolutionizing Dementia Care filmmaker Mason Mills talked with dementia care innovators Deke Cateau and John Zeisel, who are part of a movement to revolutionize the way we care and interact with individuals living with dementia. The documentary premiered at the Virginia Film Festival in Charlottesville on November 1. 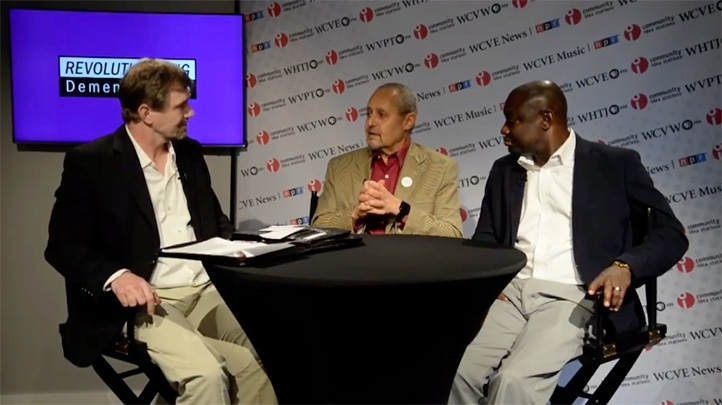 Watch Revolutionizing Dementia Care November 15, 2018 at 9:00 p.m. on WCVE PBS, WVPT PBS and WHTJ PBS or watch the Live Stream here on the night of the broadcast.